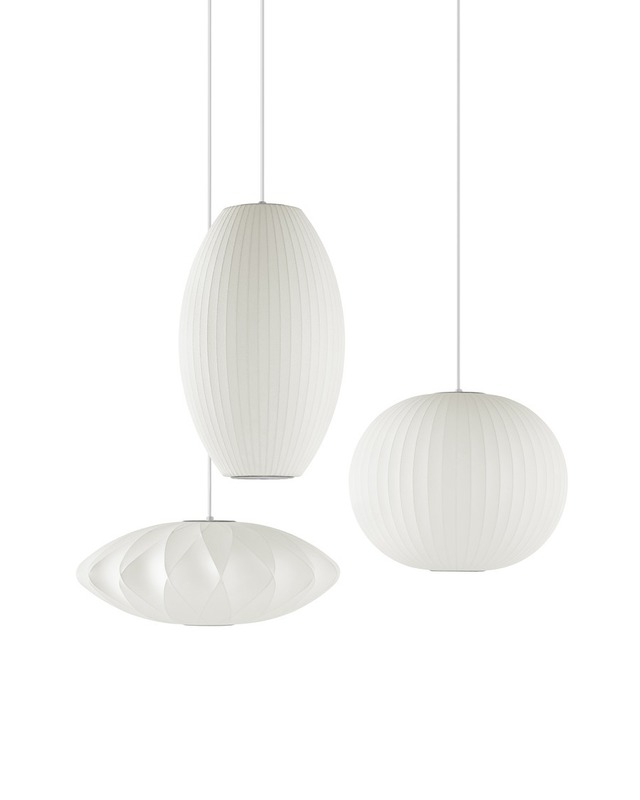 The Nelson Bubble Lamps bring warmth and personality to any setting with their soft lighting and spherical shapes. 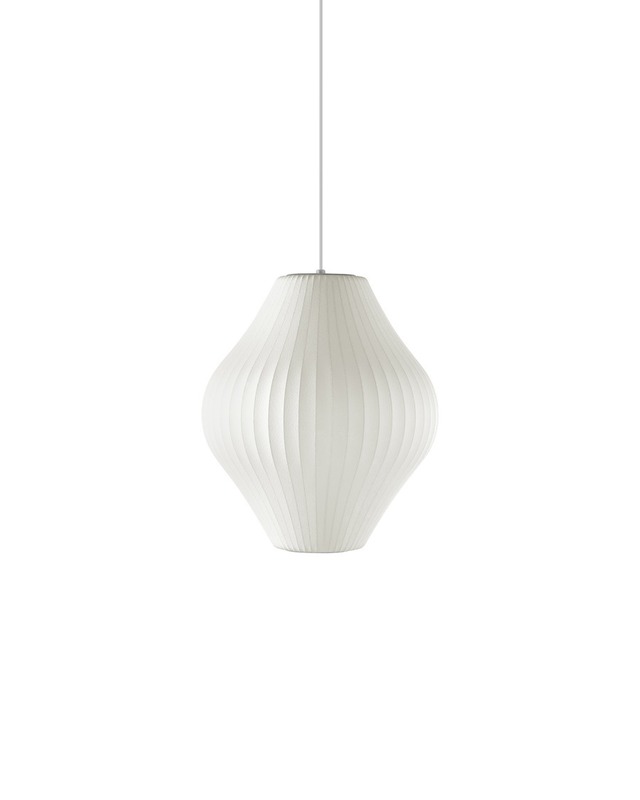 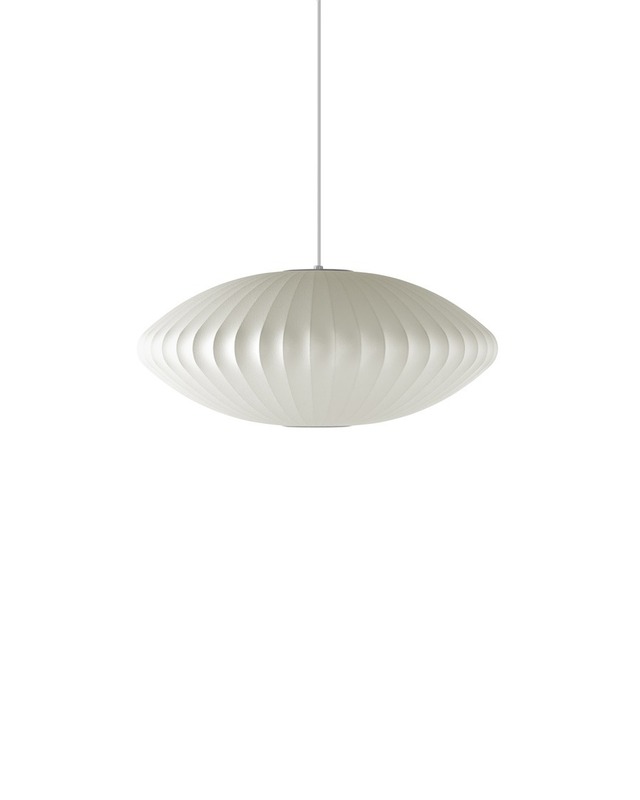 George Nelson, inspired by a set of silk-covered Swedish hanging lamps, designed the series in 1952. 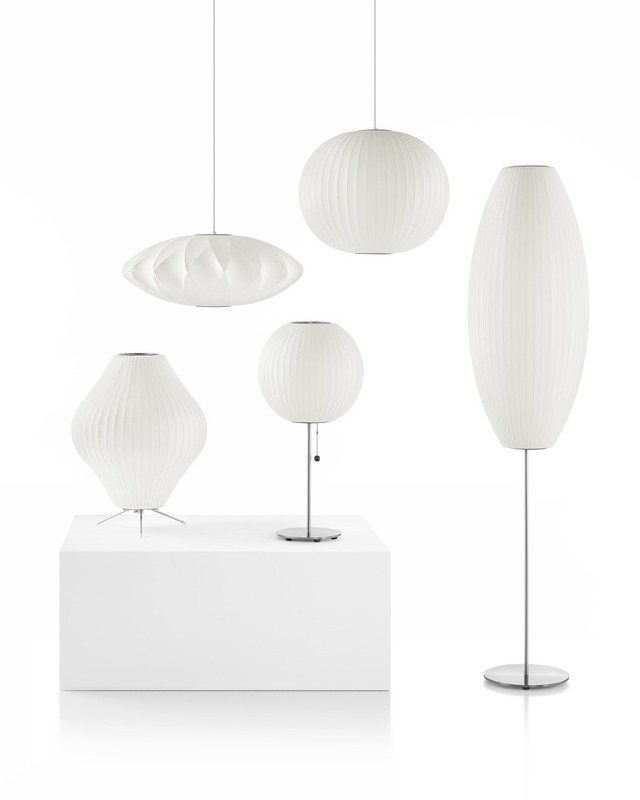 Made of a lightweight steel frame with a translucent shade, they come as pendants, sconces, tripods, table, and floor lamps.